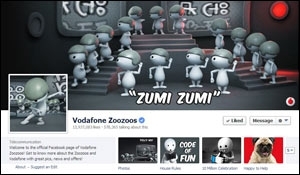 The brand page was created in 2011 and received 1.17 million followers in the first year itself. Yepme.com, an online fashion brand, recently crossed the five-million-fan mark on its official Facebook page. However, in India, Junglee.com has the largest following among ecommerce players with 5.4 million Facebook fans. Yepme is a close second (according to Socialbakers.com data). 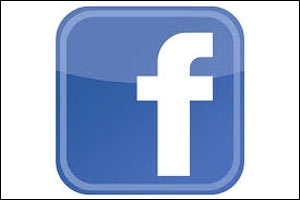 The Facebook page, created in 2011, received 1.2 million followers in the very first year. Today, a post on the page reaches out to 76,600 users on an average with 1,200 engagements (likes, shares & comments) and 3,600 post clicks. According to the company, Yepme's association with brand ambassadors, Farhan Akhtar and Esha Gupta, has greatly leveraged the organic traffic to its page. The videos posted on the page have been very popular, with Akhtar's music video receiving more than two million views and Esha Gupta's ad more than one million views on YouTube. One of the most successful social media campaigns was conceptualized around Yepme's music video with Akhtar - "Tension Kyun Lete ho Yaar - #TKLH." Trending on Twitter, #TKLH was contest-driven and the posts had catchy captions and graphics taken from the video. The contests that were based on sharing real life "tension stories" received one of the highest customer engagement levels. Apart from social media campaigns, Yepme has attracted more fans through inspirational posts on their blog and Google+ page. Yepme's look-book videos featuring the latest trends in fashion has also been extensively viewed and shared by its followers. Interestingly, 66 per cent of Yepme followers access the Facebook page through their mobile phones. The popularity of the Facebook page has contributed to 30 per cent of visitors to the Yepme website on an average per month. Sixty per cent of customers who come to Yepme from Facebook and transact, do it through mobile devices. Says, Vivek Gaur, co-founder and CEO, Yepme.com, "As a brand, we actively communicate with our customers on social media platforms. The page and posts are designed to help our customers get easy access to fashion-rich content and buy their favourite products."